During these cold days we still want to look healthy and glowy. 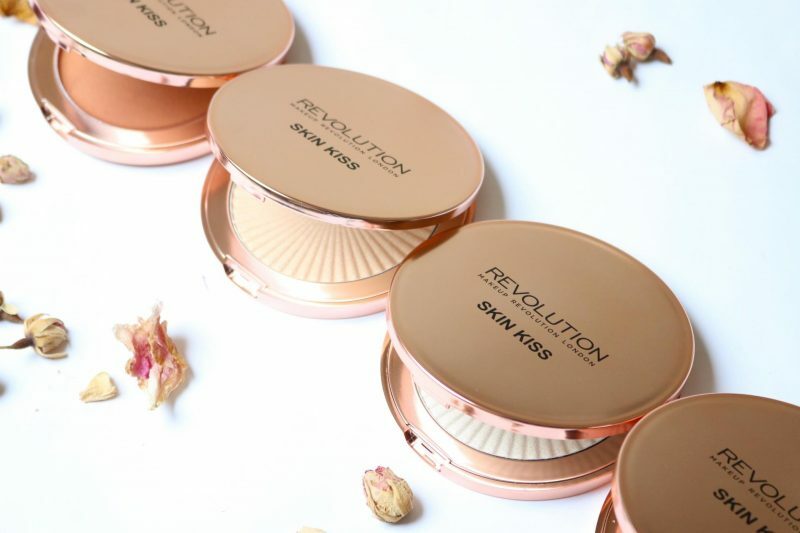 Thanks to the Skin Kiss items from Makeup Revolution we can get an illuminating and tanned skin this autumn. The items I will review today are 3 highlighters and a cream bronzer. 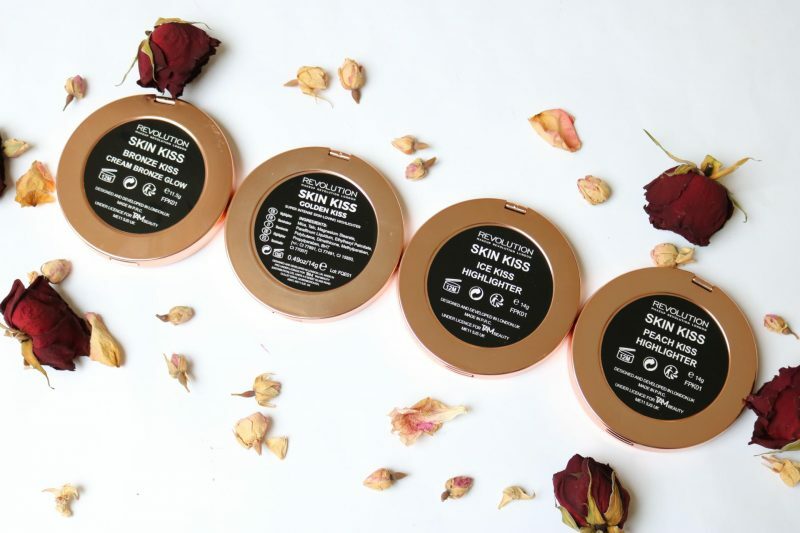 I never tried a cream bronzer (only once, but I didn’t have a good experience with it –read here–) so I’m curious if this will work for my skin. No one ever said that they had too many highlighters! 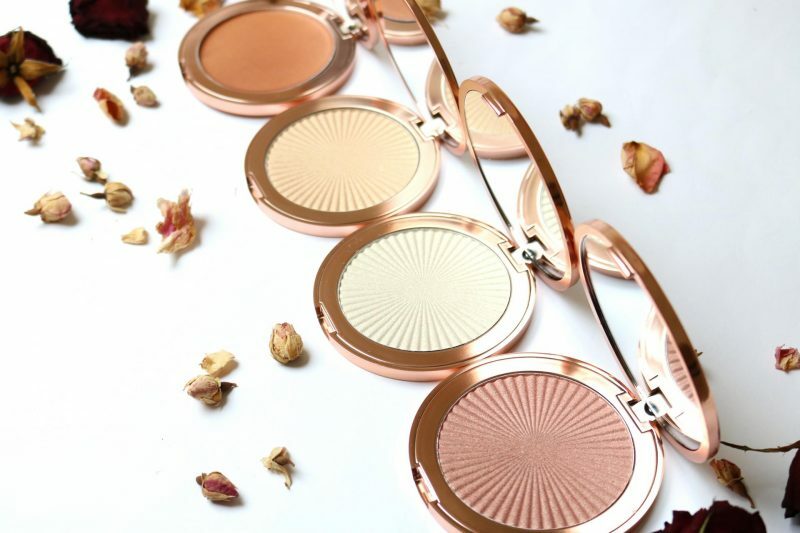 I will show you 3 very different shades of the highlighters and they look very similar to a highend brand. Enough talking, let’s see how they work! When I googled on the World Wide Web to read reviews of other people about these items, I noticed that Makeup Revolution changed their packaging. Before this the powders were packed in a gold pan with a see-through lid, which looked very similar to their Baked Highlighters. 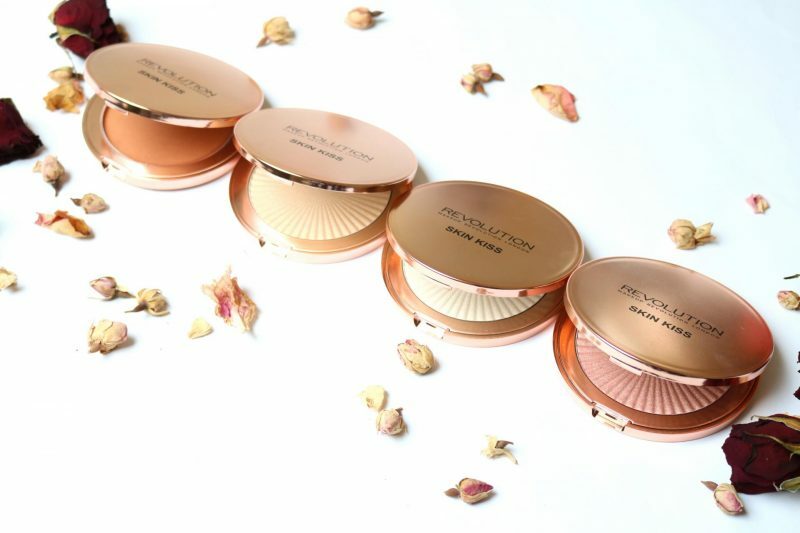 Personally I love these all golden packaging, it makes it look very luxurious AND they included a mirror in these one. Great value! I received one bronzer and 3 highlighters. 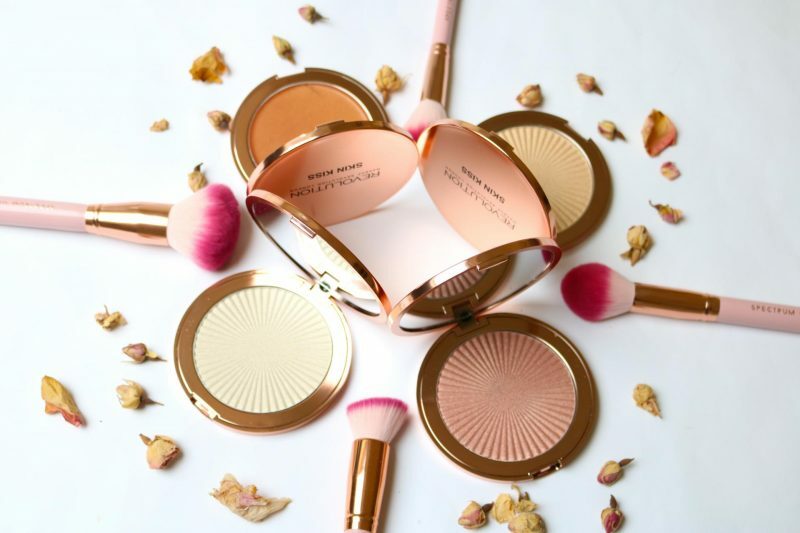 The bronzer is a cream bronzer which will create a natural glow on your skin. I never used a cream bronzer before only a liquid one and I didn’t have a good experience with it. That’s why I’m curious to see if this cream bronzer will work for my skin. The highlighters are in an ice, gold and peach shade. To me they look very similar to the Jeffree Star Skin Frosts which I wrote a review about it. They were my favorite highlighters of all time, but in the meanwhile I found a few other great highlighters which are almost the same formula as the Jeffree Star ones. 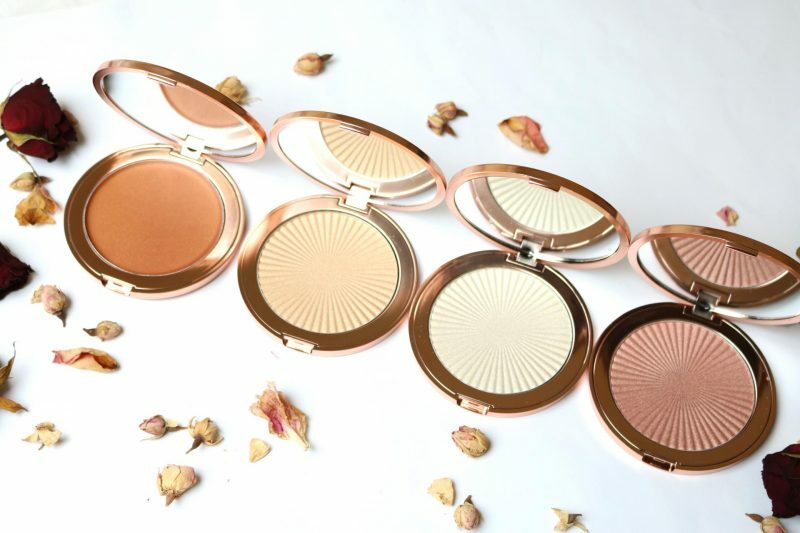 Would the Skin Kiss highlighters pass the test? The bronzer looks at first very orange/too dark for me. 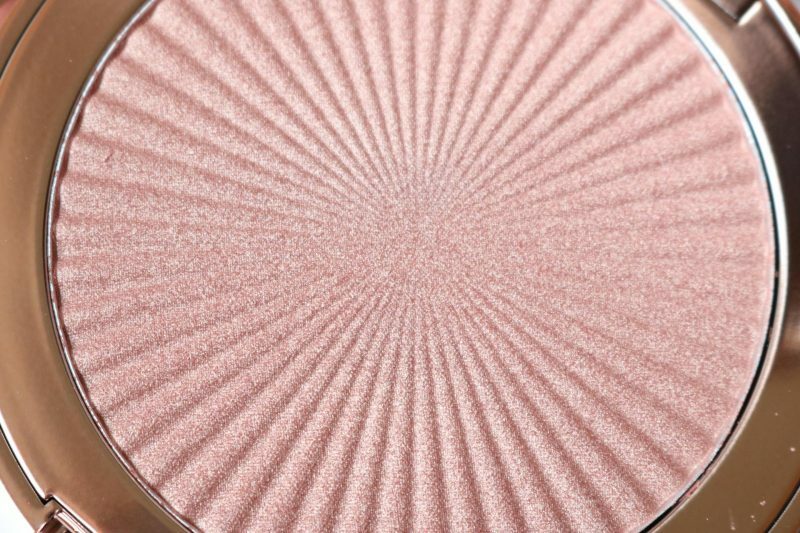 It has a subtile amount of shimmers which is great because I prefer a more natural bronzer. 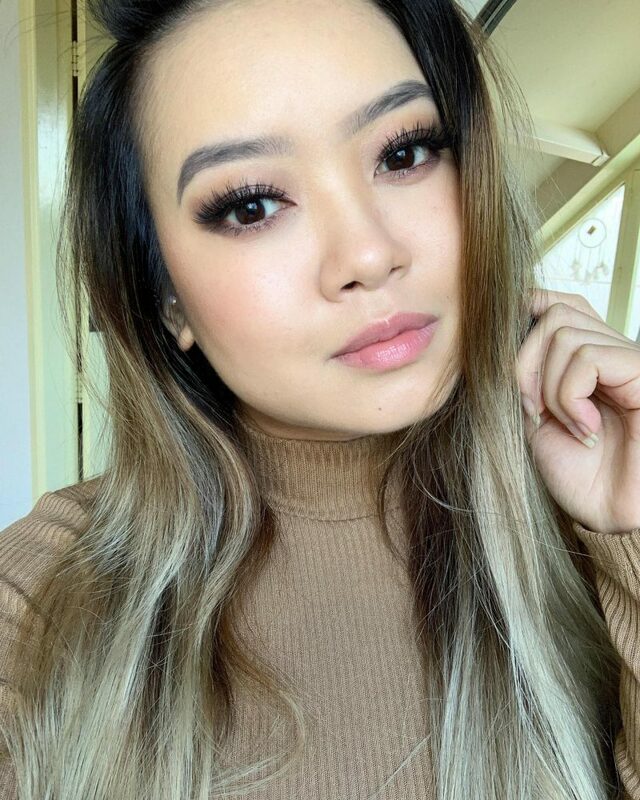 Because of my oily skin I avoid heavy shimmers all the time, it makes my skin look very dry and fine lines will become more visible when shimmers will get into the lines. 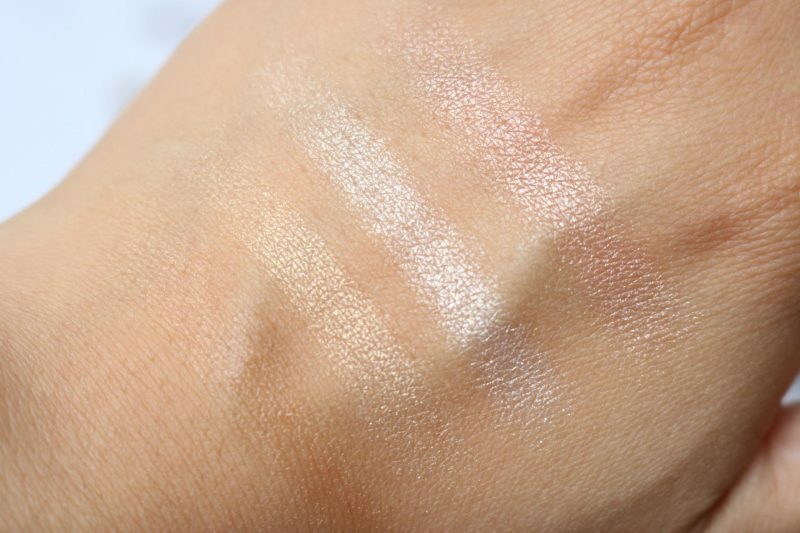 The highlighters are 3 very different shades, their must be at least one shade that will suit your skintone. I think the Ice Kiss will look great on everyone’s skin and the Golden Kiss. The Peach Kiss is something that might be a little bit too heavy for a pale skintone but if you use a light hand, it might will work out for you! 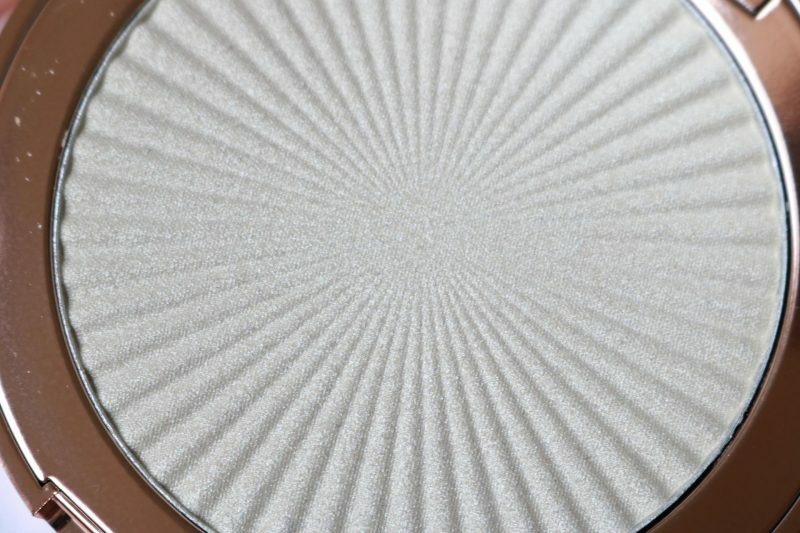 The bronzer has a beautiful creamy texture. When you dip your finger in this cream, it has a gel kinda texture. I was a bit concerned if I was able to pick up enough product because it almost felt like the cream bronzer was melting. I tried to pick a lot of product for my swatches but I had to dip 3 times before I had a visible amount of product on the back of my hand. Hmmm, not so sure if I like this because a person like me who is always in a rush during the morning can’t afford this much time for applying bronzer. To be honest, I always prefer a bronze powder but he: you always have to try everything in life. So the cream bronzer is a no go for me. The highlighters are creamy as hell! I didn’t expect this amount of beautiful glow on my skin with an almost creamy feeling during the application. 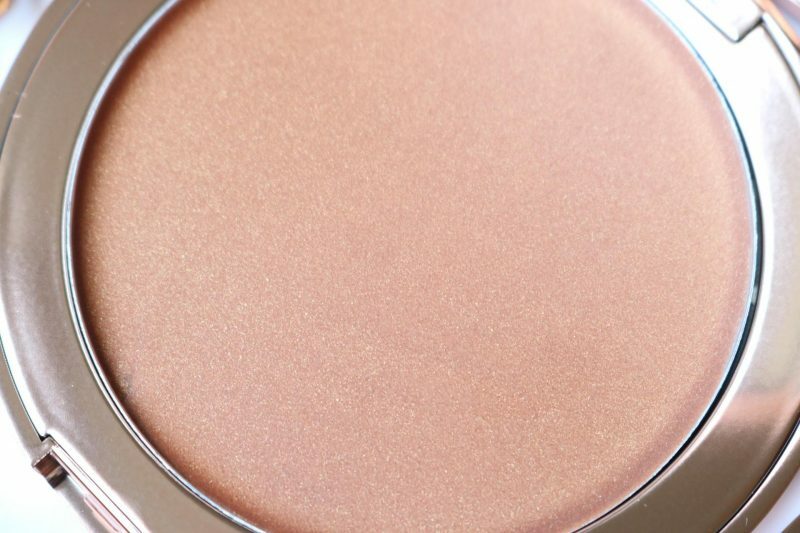 As little swirl into the powder with a brush is just enough to cover one side of your face. The finish doesn’t have the same results as the Jeffree Star Skin Frost as I thought, the Makeup Revolution looks a little bit more chalky. After a whole day wearing the Bronze Kiss and the highlighter (I tried the Peach Kiss) I do have some mixed feeling. As I told you I’m not a fan of the Bronze Kiss because it was very difficult to pick up the product. It as a gel feeling but the moment you blend it out is will change into a cream. The duration of the bronzer was very poor on my super oily skin. My skin will get shiny after 2 hours, so a cream product never works on my skin. I avoid all cream blushes/bronzers because I know out of experience that they don’t last well on my skin. However, that doesn’t mean it won’t work for you! I think a cream bronzer will work amazing on the normal/combination skin and also will last long. The Peach Kiss looked great on my skin (not that great as some other highlighters I own), it has the right amount of glow and the peachy shade was visible during the day. I do find that the pigmentation is not that great as I expected. 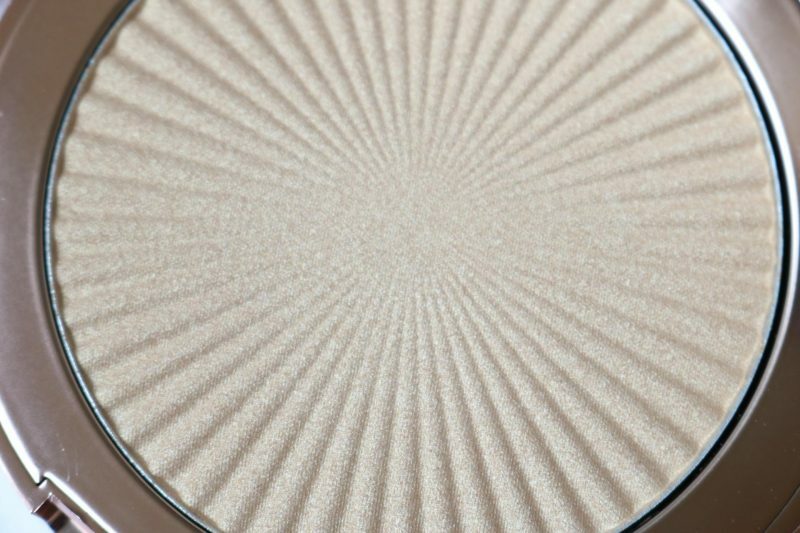 I thought it had a high amount of “boom” but to me it looks like a normal highlighter.The only thing I love about this highlighter is the texture. During the day the highlighter stayed the whole time on my skin and it didn’t lost its power. 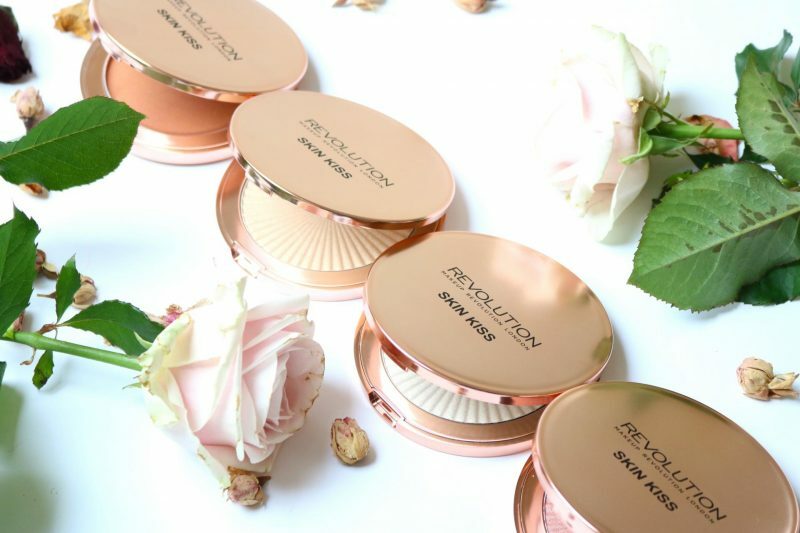 I reviewed several Makeup Revolution products on my blog (1–2–3), but to be honest I think these are my least favorite ones. I’m not saying they don’t work well, I expected too much also because of all the reviews out there that I’ve read about the products. The highlighters are really pretty and they feel amazingly creamy and smooth on the skin. I only had high expectations about the highlighters because at first they looked very pigmented and buttery, but when I blend it out I find them a little bit too chalky. They last very long on the skin, so that is a great plus point. The Bronze Kiss was my least favorite of these 4 products. I was not able to pick up a lot of product because I had to dip my finger several times into the pan to get the right amount. The combination of the Bronze Kiss and my oily skin creates a messy battlefield. My skin looks really greasy with the Bronze Kiss and it will not last the whole day. Saying this doesn’t mean it won’t work for you! So I definitely advice you to try them out yourself because like I said tons of other people loved it! Which one attracts you the most out of these 4 products? 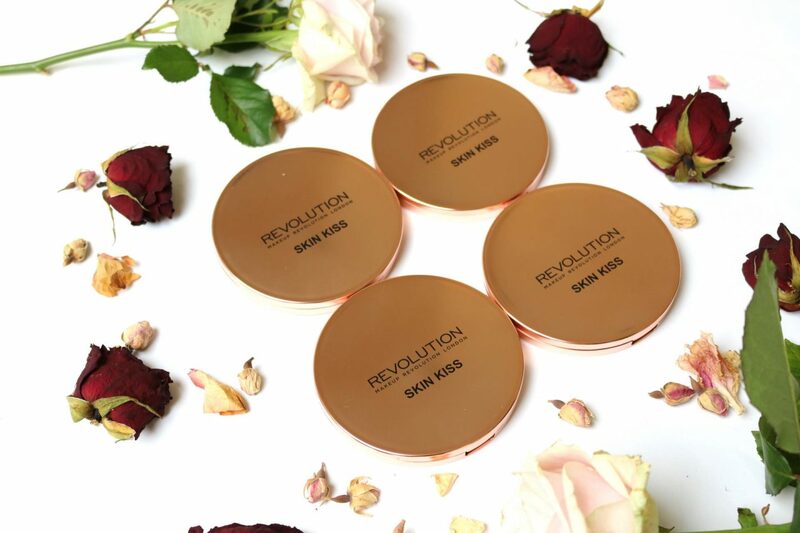 You can get your own Makeup Revolution Skin Kiss items at your local Etos store or at Beautylala.nl.